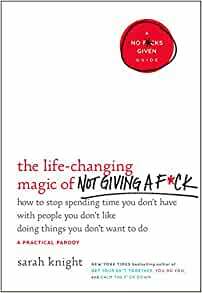 Start reading The Life-Changing Magic of Not Giving a F*ck on your Kindle in under a minute. I had picked this up at the train station in London before a flight, because the subtitle sounded interesting (and it was on the bestseller list). Right from the start I hoped the book wouldn't overuse the F-word like it does on the first couple of pages. I'm far from a prude. Actually, I just hoped for good writing, but overall I was disappointed with the book for three reasons. 1) The author uses the f-word so liberally, that it gets annoying fast. It's somewhere between cringe-worthy and roll-eyes territory. I get she's trying to be cute and edgy, which may work for a blog post or two, but not for a whole book. 2) In terms of actually useful advice, the book is very thin. There's a lot of "advice" in the book, yes, but much of it is just trying to be so edgy that it's ultimately useless for people that don't want to come off as rude and inconsiderate. I know it's supposed to be funny, but if I want funny with "bad" language, I'll watch Richard Pryor stand-up. 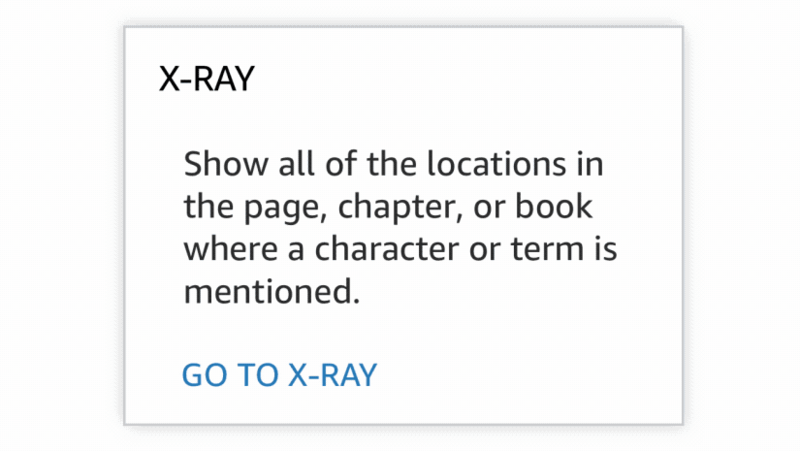 For example, in the hypothetical situation of someone taking too long to order at Starbucks, you're supposed to ask them whether they're shortsighted and need help reading, because in the time they've been standing there "you" could have read the menu three times. Hold your horses there Jackie, you're not waiting in line for emergency medical treatment, you're standing in Starbucks, a place between home and work where you're supposed to be able to relax. If you don't want to go to your "friend's" wedding, fine, don't go there, but you don't need to be so rude when saying no. You have annoying stuff in your facebook timeline? Maybe you shouldn't have added so many people you don't care about as "friends." Here's a summary of the book, to save you the 13 pound. Think about what you enjoy doing in your life and write it down. Make another list of activities that drain your energy. Find a way to eliminate items from the second list. If you want to take the author's route, be deceptive, hurtful, and make the other party feel bad about it. In my opinion, you're better off being honest and polite, but that's just me. Ultimately, it's my fault for buying this book without at least reading the first chapter. I was in a book store after all. You might not like the "F" word and that will definitely turn you off to this book. I tended to change the word in my head to a less offensive word. However; the idea that you can strongly not care about things that you can't control, or should have little affect on your life is truly life-changing. My life has changed dramatically since employing the principles set forth in this small but informative book. I recommend it to anyone who lets their life be wasted by other peoples problems, influences and meddling. Of course caring about and helping people are very important and useful pursuits, but the "F" word makes a strong statement which will help you really feel the necessity to strongly rid your life of useless cr*p! 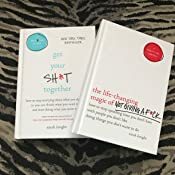 I will start by saying I really liked the Get 'Stuff' Done journal and Get 'Stuff' Done book by Sarah, and overall, I actually do enjoy the author's humor, writing style and excessive cursing! However, I felt the book lacked in explaining exactly HOW to not give any 'fox' about what others think about you. I felt like the author just jumped right into, "you shouldn't give a 'flock' what others think, ok? SO don't. Simple. Their feelings are their problems. End of." But I need to know some exercises and psychology for WHY I shouldn't care about what others think of me, and why I shouldn't care if I can lessen any pain towards someone. It was to the point where I flipped back a few times thinking that I must have missed a page, or that my book must be missing sections. Luckily, I've already been doing a lot of work on stopping people pleasing, so I know there ARE answers to this issue, she just didn't include many. If you are new on this journey and want actual guidance, check out other books on the same topic. Calling out inventive ideas as "dumb" in her book was just low. Making fun of and stereotyping people who live in certain places also made my "no more fox to give" list, which she also did in this book. Don't like dog sunglasses? Off you flock then. Leave it at that. No need to call anyone who uses them or creates them "dumb." Things like that are why so many of us stop dreaming and stop creating. Is that her problem? No. But she doesn't need to continue to contribute to that for literally no reason except to throw in one more jab at people who take their dogs out in the wilderness and on adventures. There were other ways she could've made these points funny but she stooped low instead and didn't follow her own advice. To sum it up, she is definitely not someone I would ever tell any of my ideas to. People like that are generally perceived as "toxic," which is why any friend I had like her made my 'flock off' list. I would never invite her to anything either, seeing as she seems to want no social interaction with anyone for any reason whatsoever. And her initial issue with saying no to the simplest invites (I mean, c'mon, bar trivia? THAT's what you've been lying about then intentionally flaking on your friends?) Every example she gave was for shallow reasons. I've never had an issue telling a friend that I cannot attend her "2nd bachelorette party in Cabo" because I literally cannot afford it, and neither can my "average" friends. What I struggle with is the feeling that I need to help everyone, and my GENUINE desire to help people and be around people and invent "dumb" things and create art and really enjoy life. 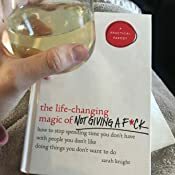 I thought this book would help me narrow down my "want to do it all" lists, and help me grasp why I feel like I want to help others so much, even when it puts me in a major bind. This book does not cover that. This book is for people who don't WANT to do anything, and don't have the guts to say no. But I know, I know. 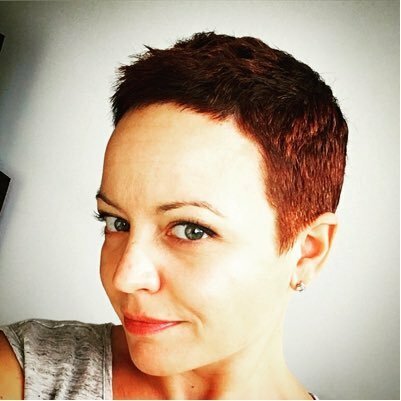 I shouldn't care what this author thinks or how she is...however, she is writing self-help books for vulnerable people who are in tough places trying to get some help managing their time and loved ones and passions. I would've given the book 5 stars if she explained HOW to not care what others think a bit more and if she didn't dole out so many low blows. The majority of the book was so funny and enjoyable to read but those little moments ruined it, and the complete lack of understanding of the root issue makes me believe the author is still on this journey herself and is in no place to be making money off of people seeking her advice. Bought this for my mom for Christmas. I expected it to be mostly a joke, but she actually loves it and says it has been super helpful. 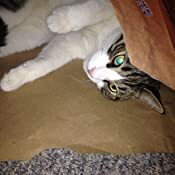 It has helped her let go of the junk in her late mom's storage unit, back off of my adult siblings' poor decisions in love and life, and allow my teenage nieces to make their own mistakes. This is my first Amazon review after being a Prime Customer for over 5 years. This is an EXCELLENT book. Had me laughing and thinking the entire time. I read it at the airport and had two people comment on how great of a book it was. It took me two evenings to read and I started making changes immediately. No more bullish*t business dinners that are not mandatory, no more happy hours with girlfriends I don't care to be around, NO MORE baby showers! Phew.. .. I feel better already! 3.0 out of 5 starsIf you say “yes” to too many things, this book is for you. 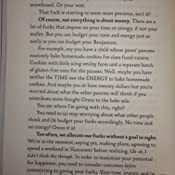 This book is really witty, and offers lots of motivation to get your life clear of unwanted obligations. I’m a pretty blunt person, and didn’t really learn anything new by this approach. If you’re timid and need a slap in the face, this is for you.